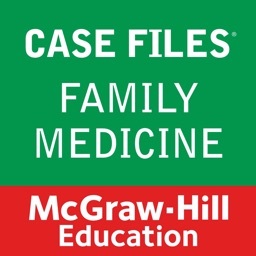 Learn about medical ethics and professionalism in the context of real-life patients. 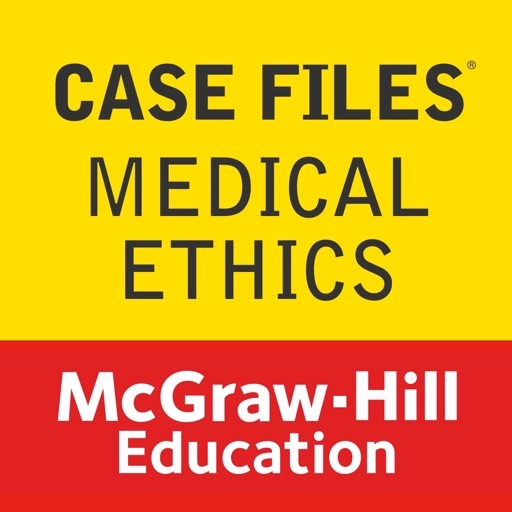 -Experience with actual cases is essential to learning how to manage medical ethics and professionalism challenges which arise during your medical education and practice. 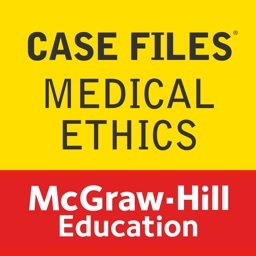 Case Files: Medical Ethics & Professionalism includes 36 true-to-life cases that have been carefully selected to cover important topics such as the doctor-patient relationship, student issues, medical teams, end-of-life care, and social media. -Each case includes a complete discussion, key points, and review questions with answers. 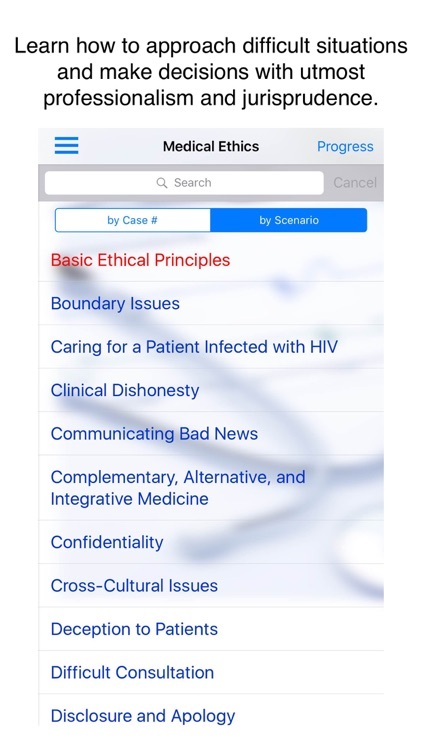 This free application includes 1 sample case study from the 36 that are available through an in-app purchase of $29.99 of Case Files Medical Ethics & Professionalism. Each case has been designed for the iPhone/iPad with interactive features. -Study/Exam/Bookmark modes are available for review questions. -In the Study mode, check the answers as you tackle the questions. -In the Exam mode, time yourself and review the answers after the time is up. 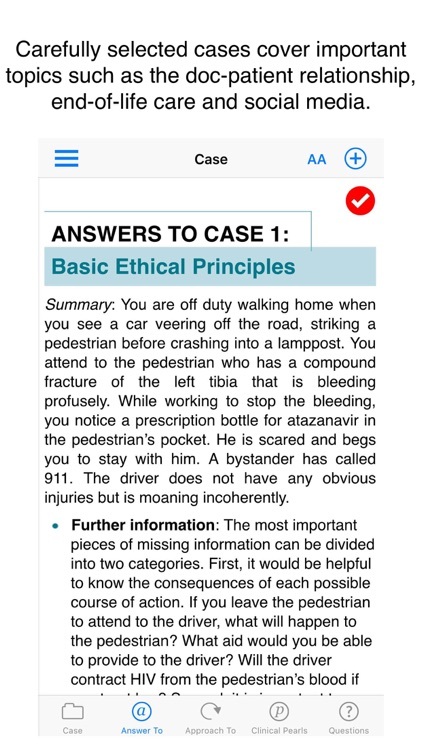 -In the Bookmark mode, review only the questions you have flagged for further study. 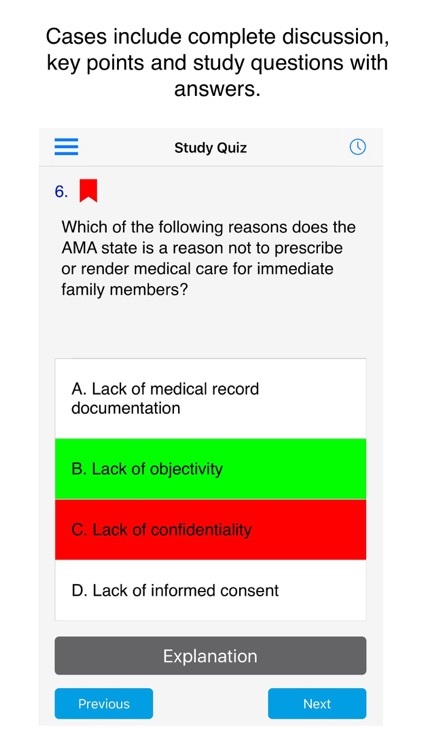 -File away correctly answered questions after each practice quiz. 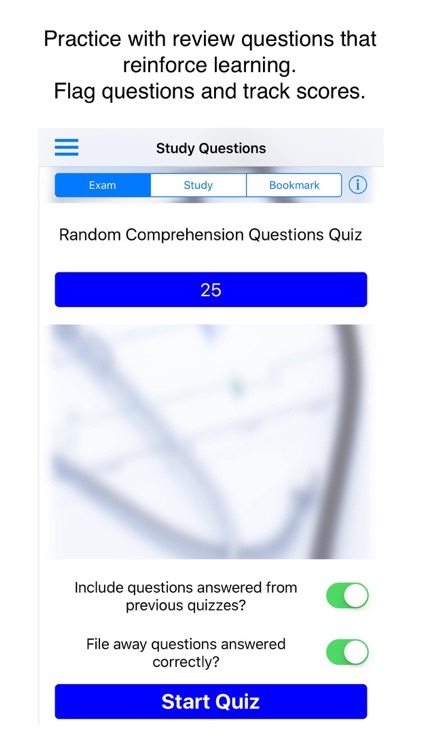 -Choose the number of questions in each practice quiz: 25, 50, 75, 100 or all. 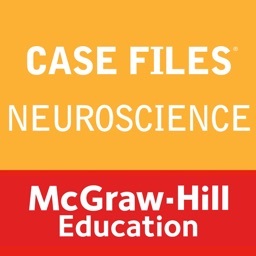 -Opt to include questions from previous quizzes. 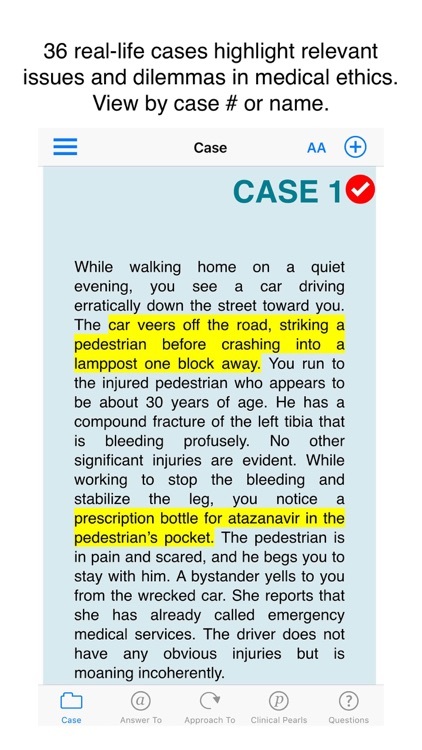 -Learn further from interactive questions at the end of each case, with explanations. 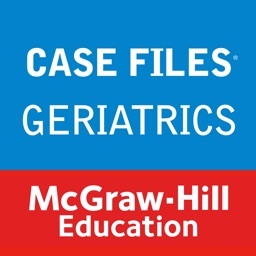 -Sort cases by name or by case number. 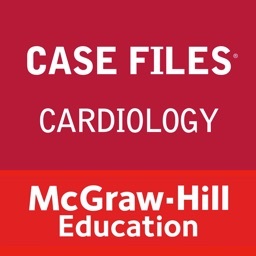 -Take down notes using the Notes section for each case. -Add tags to each case. -Search cases by title or by tags. -Store quiz scores to track your progress. -iCloud sync -back up and save your data to iCloud for easy access on any of your devices. Eugene C. Toy, MD is a dual certified family physician and ob/gyn and is Academic Chief and Program Director for the Obstetrics and Gynecology residency at The Methodist Hospital in Houston, Texas, where he is also actively involved in teaching medical students. He oversees the ob/gyn clerkship at Christus St. Joseph Hospital.